There’s nothing women love more than multitasking – and on the agenda for this summer is protecting our skin, and looking good while we do it. Luckily, there is a new breed of makeup foundations killing two birds with one stone, incorporating SPF into their formulas to make every day sun protection easy. Read on as Canstar Blue reviews makeup foundations that provide around-the-clock protection and flawless coverage and finish. We all know how hot it gets in Australia – and how harsh the sun’s UV rays can be. SPF stands for sun protection factor and is a measure of how much UV passes through the product (usually sunscreen – sometimes foundation!). The numbers range between 10 and 50+ and the higher the number, the less UV rays pass through. According to research, an SPF of 30 allows one-thirtieth, or 3.3%, of UV to reach your skin, which means it filters 96.7% of UV. With an SPF of 50, 98% is filtered and one-fifth, or 2%, gets through. Alternatively, the SPF rating also reveals the amount of time you can stay in the sun before you begin to burn. An equation is used, whereby you take the time you would normally take to burn in the sun (say 20 minutes) and multiply by the SPF of your product (let’s say 30+). Therefore, 20×30 = 600 minutes. It is recommended however to reapply every hour, especially if you get wet. How much do SPF Foundations cost? SPF or not, it’s hard to find high quality foundations without spending a bit of money. Sure, there are a few exceptions, but for the main part you need to be prepared to pay upwards of $40 for a flawless finish and long-lasting sun protection. To help you decide where to wisely spend your money, here is a look at some of the most popular and highest-quality SPF foundations on the market. This Japanese personal care company is known for its quality and broad range of skincare, makeup and sun care for men and women. They offer an incredibly wide range of sun care products, which is unusual for brands who offer so much makeup and skincare. Their dedication to sun care is most likely the reason behind the brilliant UV Protective Stick Foundation SPF 37 (yes you heard that right – a foundation with a SPF of almost 40!) The brand boasts of its thick and creamy consistency leaving a dewy luminous finish. At $48 for 9 grams, which is about the average amount for a stick foundation, this is the definition of multitasking. 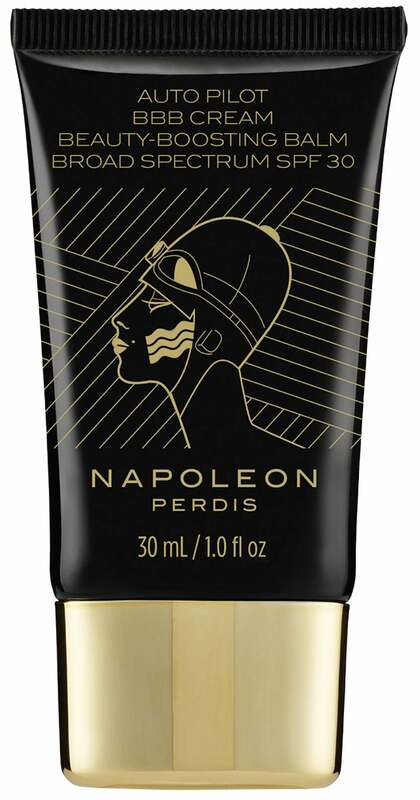 This foundation/sunscreen/moisturiser from Napoleon Perdis is the perfect trio to help you tackle summer. Known as one of Australia’s leading beauty brands, Napoleon produces a vast selection of prestige cosmetics – and this BBB cream is no different. Napoleon states the Auto Pilot BBB is a winning combination of HD foundation, nourishing anti-ageing moisturiser and sunscreen with SPF 30+. The cream is light enough to look fresh-faced, but thick enough to still count as foundation. The 30ml product retails for $59, which is reasonable from the high-end priced brand. If you love the brand but are after something a bit more-full coverage, Napoleon also offers a high-quality SPF 20+ foundation ‘Stroke of Genius Liquid Cashmere Foundation’. This is a holy-grail of the beauty world, but it will also break your bank. Giorgio Armani is an Italian luxury fashion house which designs and produces everything from haute couture, home interior and cosmetics. Their makeup range is known famously, both for their ridiculous quality and for their prices. The Power Fabric Full Coverage foundation is a new liquid foundation that teams full coverage with a luminous lightweight finish. The brand boasts a flawless hold in any circumstance and is a concentration of oils with no greasy side effects. 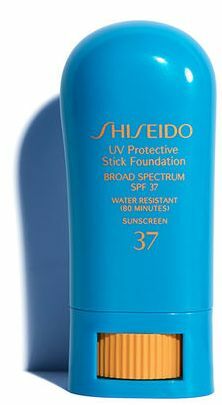 And, of course, it is SPF 25+. This 30ml bottle retails from their website at $99, so if you feel like treating yourself – you know where to go! This is one of those low-cost exceptions we talked about before. Rimmel’s ‘Wake Me Up’ range of foundation and concealers has gained huge respect in the beauty community over the last 5+ years, for their high-quality at such a low cost. Rimmel claims the Wake Me Up foundation is a light, smooth textured foundation made for a flawless finish, with an instant anti-fatigue effect and a SPF 20+. This combined with the face that Priceline is currently selling a 30ml bottle for $9.97 makes for a widely popular choice this summer. Hold up – did someone say SPF 50? Yes, this foundation by Australian top selling medical skin care brand Rationale delivers just that. Rationale’s Beautiful Skin Superfluid SPF50 is high-end, but remains popular due to its high SPF rating. The brand states that the foundation delivers sheer, skin perfecting coverage and amplifies luminosity with its unique water-light liquid crystal structure. It also acts as after sun care, providing moisture to the skin and evens out skin tone. The foundation/sunscreen retails at $85 for 30ml on their website.